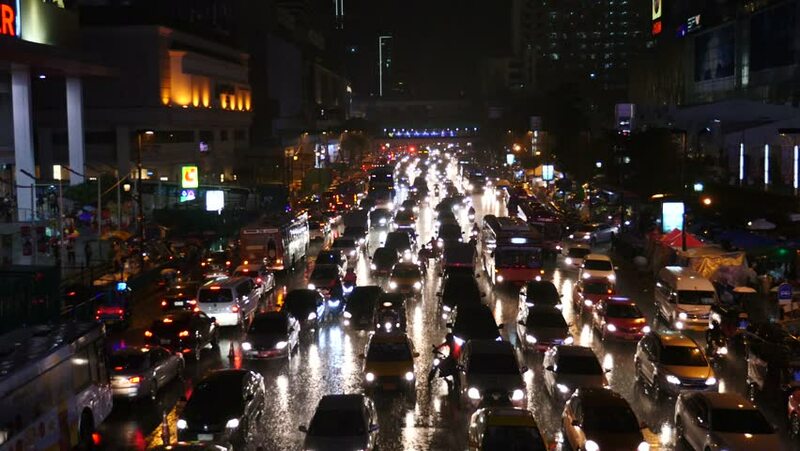 THAILAND,BANGKOK - 24 AUGUST 2016 : Traffic jam on Ratchaprasong Road during rainy. 4k00:12LUANG PRABANG, LAOS - CIRCA APRIL 2018 - Nang Songkarn in songkarn festival or Lao new year at Luang Prabang heritage, Lao.Local people throw water on each other as part of the New Year festival. hd00:16HONG KONG, OCTOBER 10 - Pro-democracy demonstrators gather for a night rally near the city's government headquarters on October 10, 2014 in Hong Kong.